Catalan President Carles Puigdemont has taken to Twitter to explain how voters can use proxies to access the referendum instruction website ahead of the controversial vote on October 1. The official website for the Catalonia independence referendum was blocked in Spain on Wednesday following a Barcelona court order amid the Spanish government’s ongoing efforts to stop what it calls an“illegal” ballot. Puigdemont defiantly announced a new domain name for the site after telecommunication operators were ordered to shut down access. He insisted that the campaign would continue, tweeting: “It’s impossible to stem the tide,” and sharing details of how users could circumvent the blockade. One of his tweets directs people to three possible ways of accessing the website freely. WikiLeaks founder Julian Assange has been vocal in his support for Catalan sovereignty, highlighting the independence struggle. He earlier described Catalonia as being “the heart of the next great battle in cryptography”. Catalonia is the heart of the next great battle in cryptography. Can 7.5m modern, western people achieve self-determination? The Catalan regional government has approved a budget for quantum cryptography in its research and innovation program. In July, two Catalan government officials tested a video conference call using the groundbreaking encryption system. On September 6, Catalonia’s Parliament passed a bill paving the way for an independence referendum to be held on October 1. The Spanish government, however, insist the proposed referendum is illegal. Spain's Constitutional Court has suspended the vote pending a formal decision by its judges. Spain's state prosecutor has ordered a criminal investigation of 712 Catalan mayors for cooperating with the process. The prospect didn’t deter more than 700 Catalan mayors from marching in Madrid on Saturday. Spain's paramilitary national police force said Sunday that it confiscated more than 1.3 million posters, flyers and pamphlets promoting the planned independence referendum. 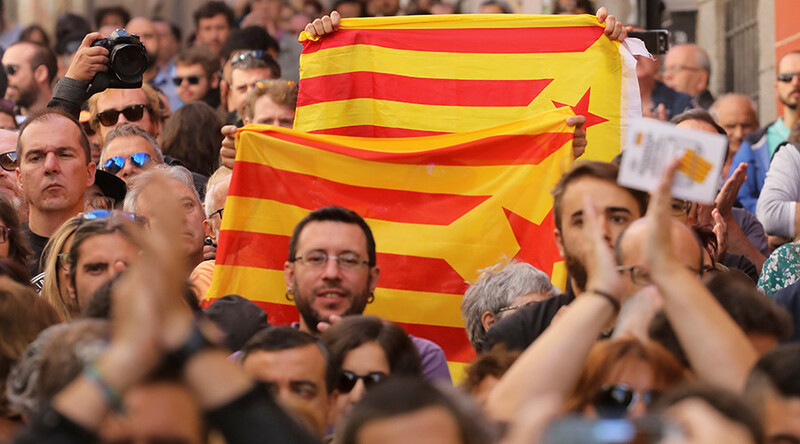 A previous Catalan independence referendum held in 2014, which saw 80 percent of voters choose independence, was ruled unconstitutional by Madrid.